← Does Christ’s Atoning Death Provide Healing? Just over a week ago, I was made aware of an interesting article about Justin Welby, the recently appointed Archbishop of Canterbury, being the main leader of the Anglican Church worldwide. 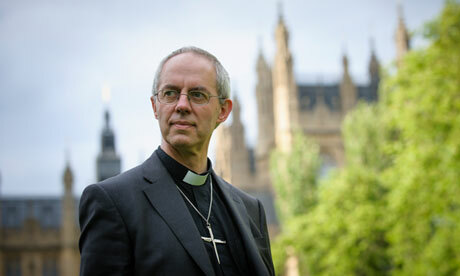 In this piece, from the British news-site The Telegraph, Welby was interviewed by a former schoolmate, Charles Moore. There are a wide range of items discussed in the featured article – from his upbringing to his conversion at age 19. Since he is an evangelical, I ask him whether he can speak “in tongues” – the “charismatic” spiritual gift recorded in the New Testament. Oh yes, he says, almost as if he had been asked if he plays tennis, “It’s just a routine part of spiritual discipline – you choose to speak and you speak a language that you don’t know. It just comes. I find this fascinating. Not so much because it’s unbelievable (for specific charisma giftings of the Spirit are found amongst people across all church groups). It simply draws my interest knowing such a great and well-known leader utilises the gift of tongues, nor does he hold back from saying he does. May great things continue to spread across the worldwide Anglican communion. You can read the rest of the article here. This entry was posted in church, tongues and tagged Church, tongues. Bookmark the permalink. Does God Still Give Revelation Today?